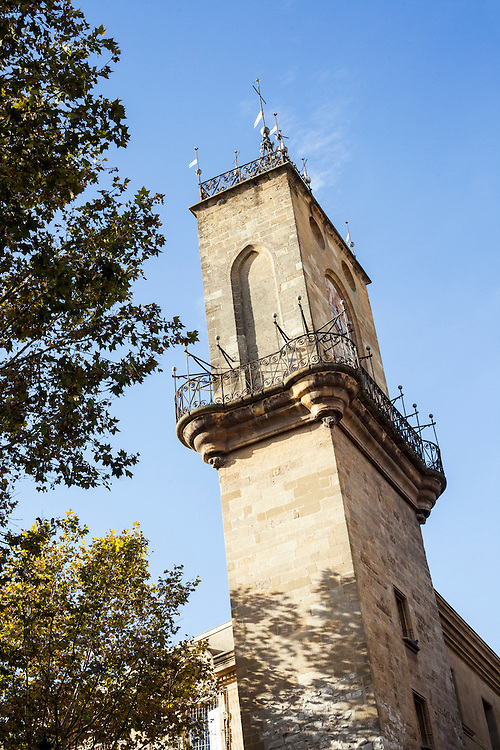 Former belfry of the town and symbol of local government power, the tower spans the street on Roman foundations. Erected in 1510, it houses an astronomic clock built in 1661, containing four wooden statues. The Four Seasons fountain by the sculptor Chastel in the 17th century is surmounted by a Roman column in its core.